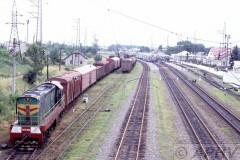 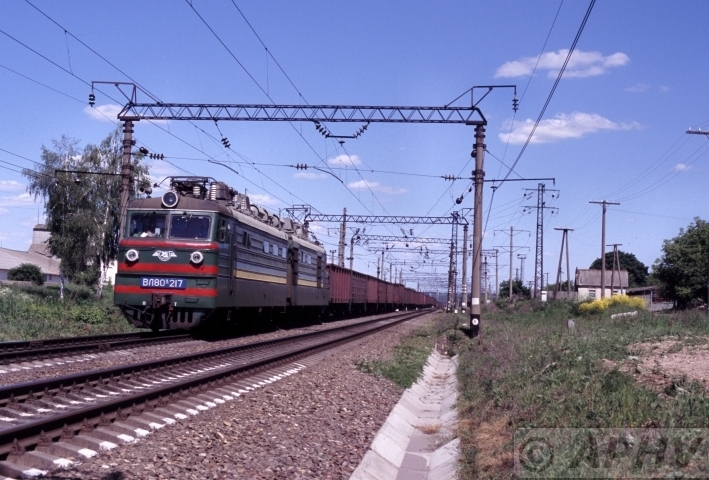 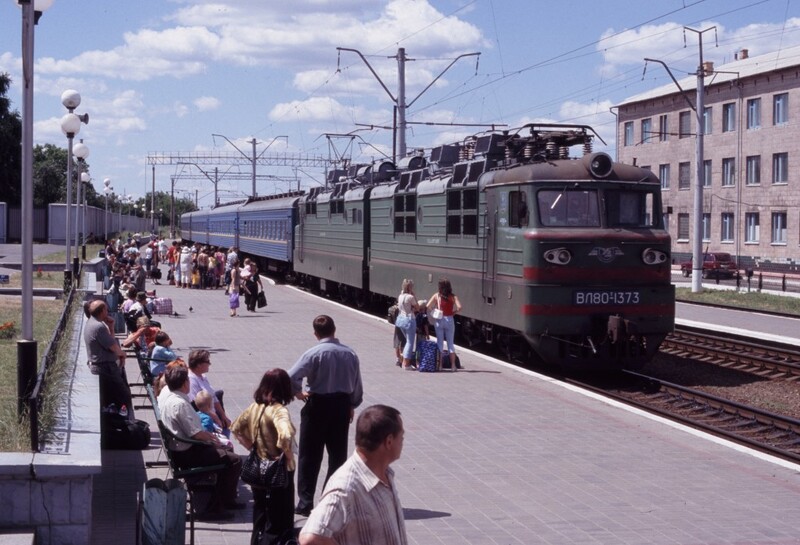 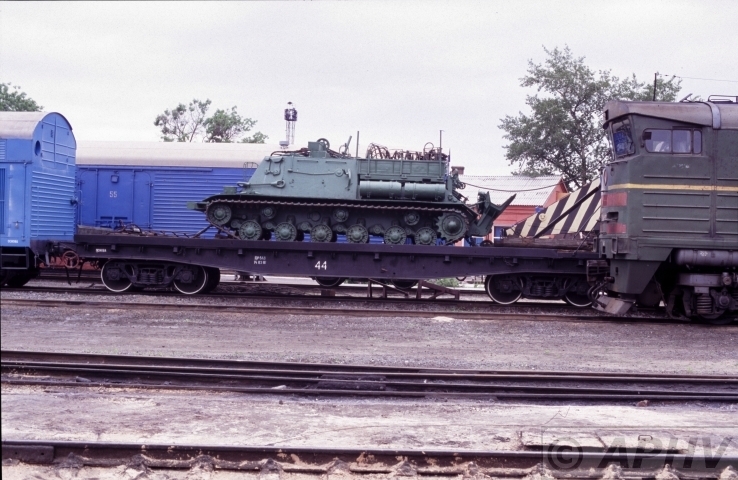 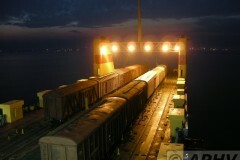 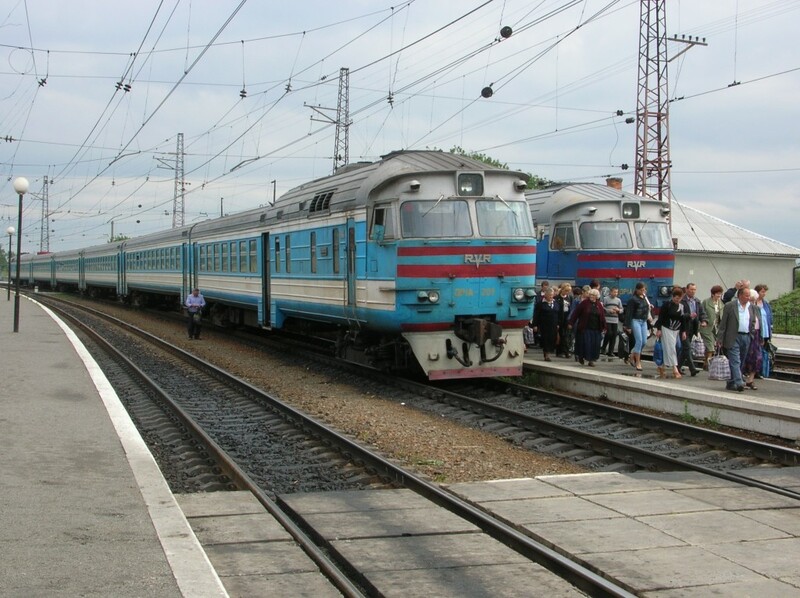 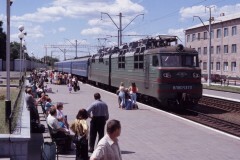 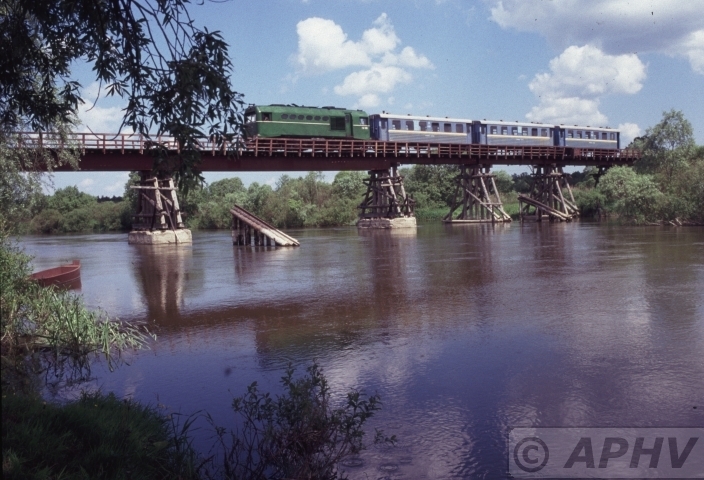 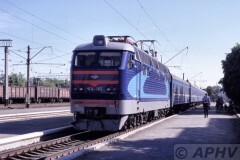 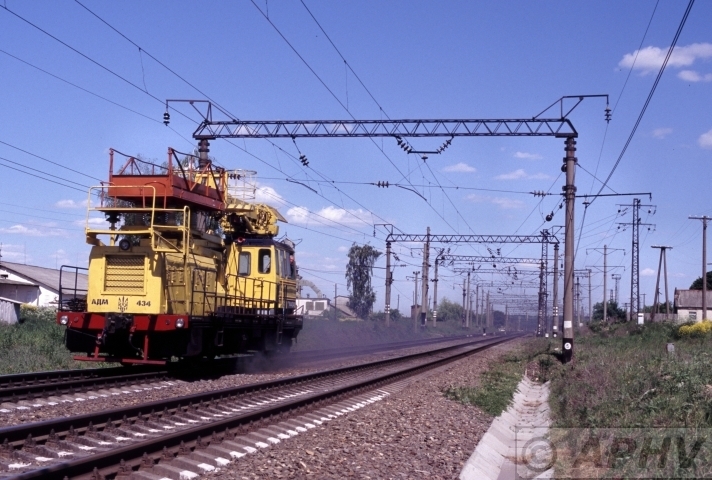 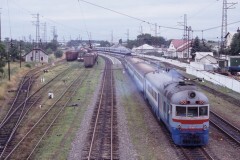 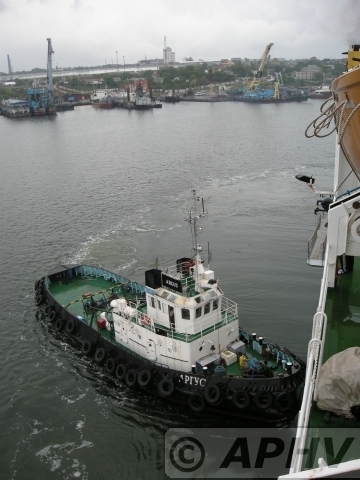 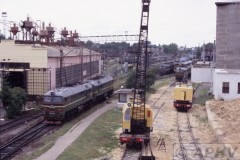 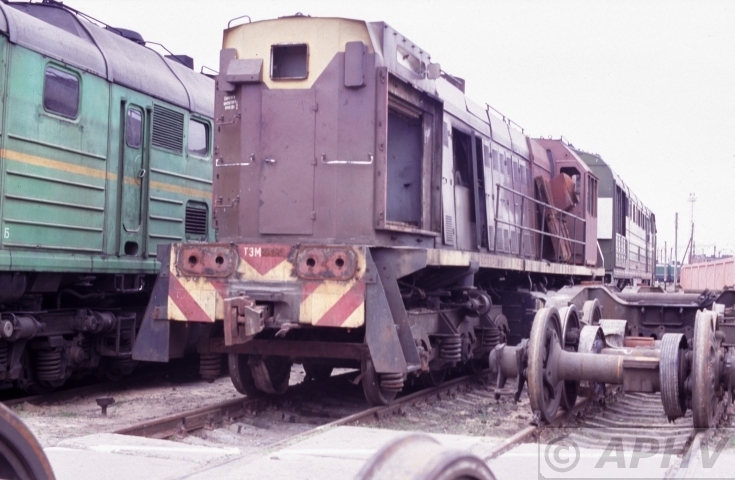 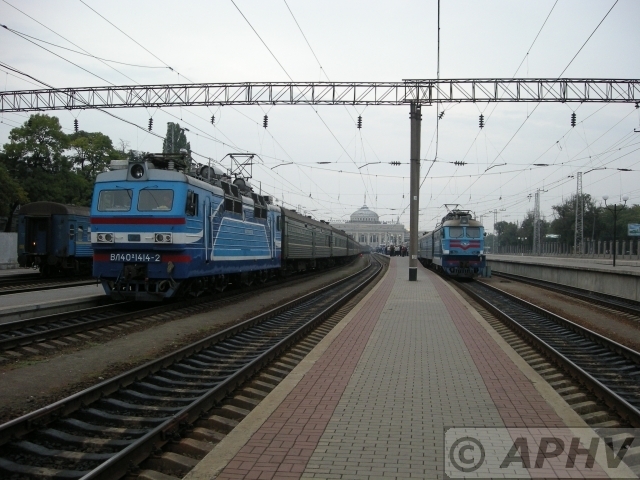 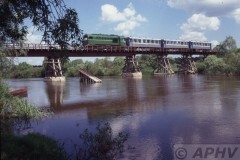 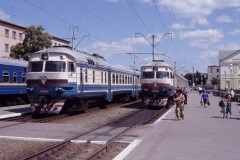 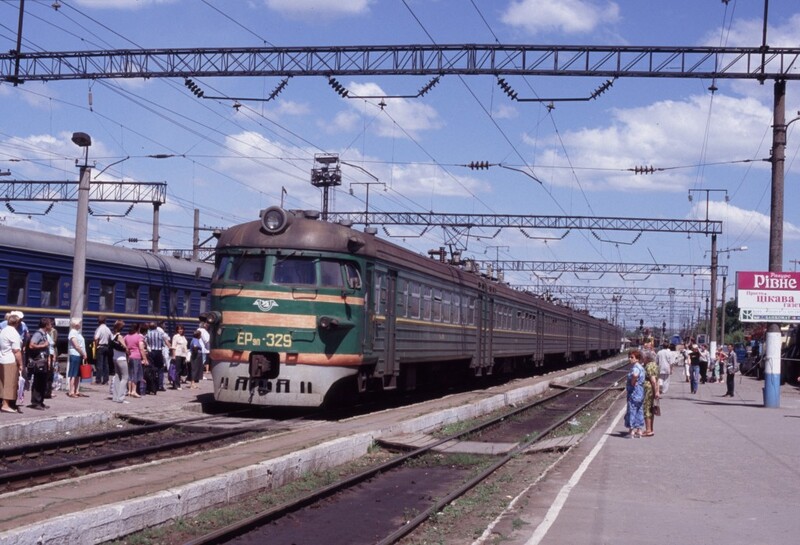 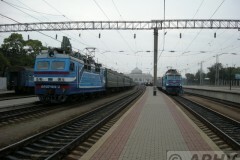 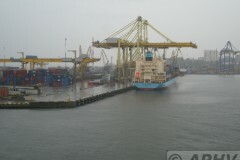 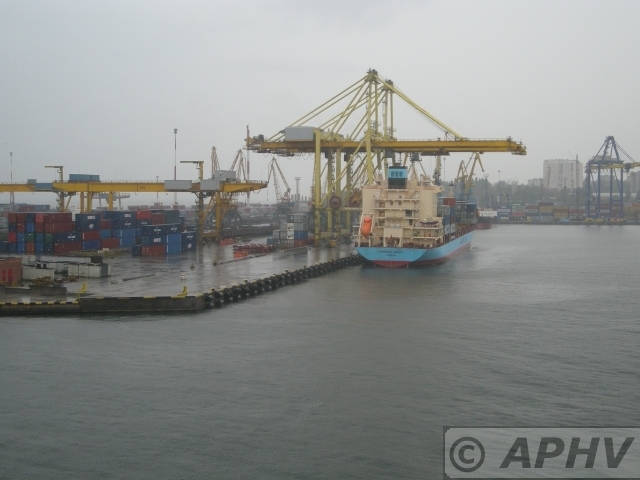 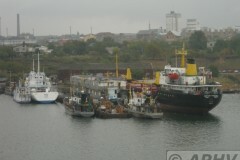 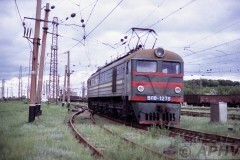 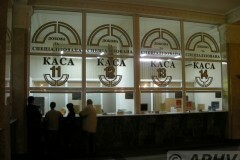 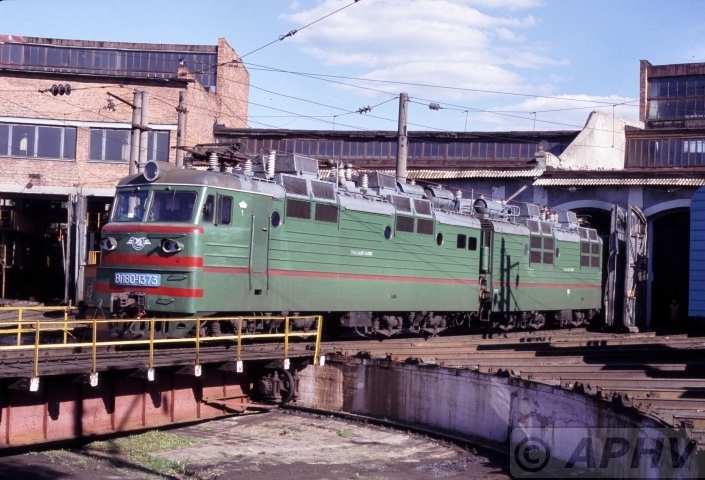 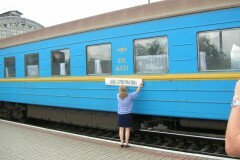 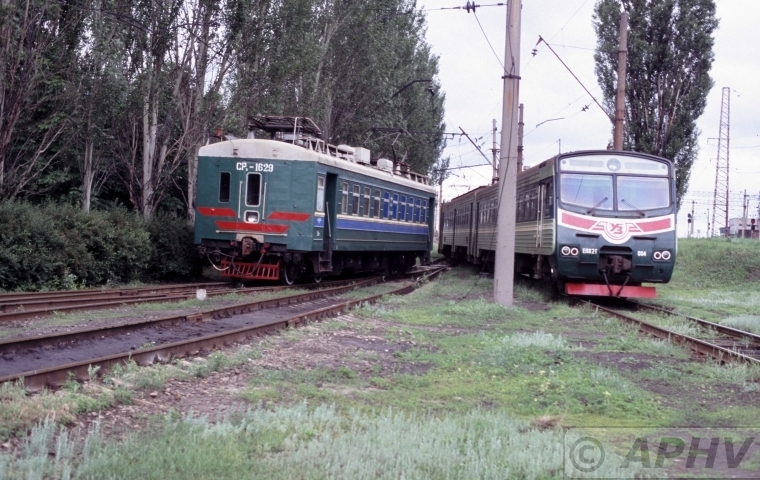 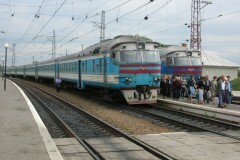 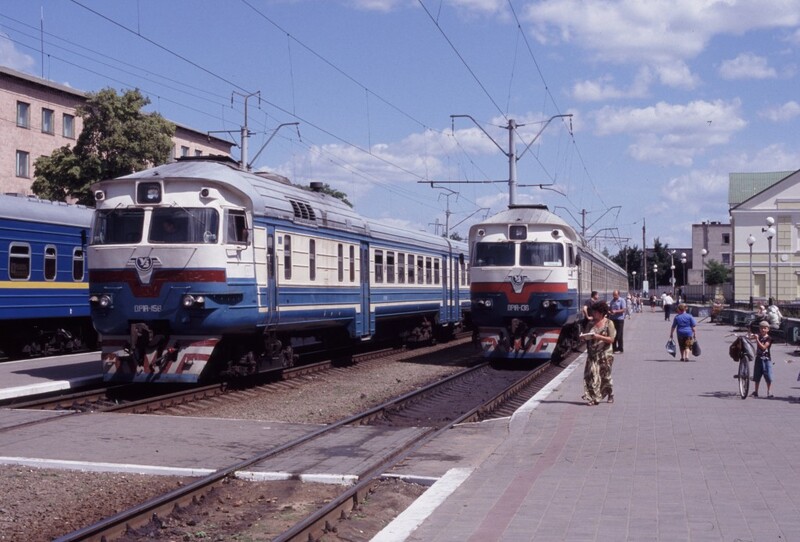 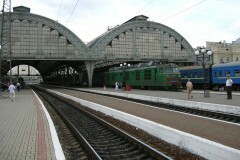 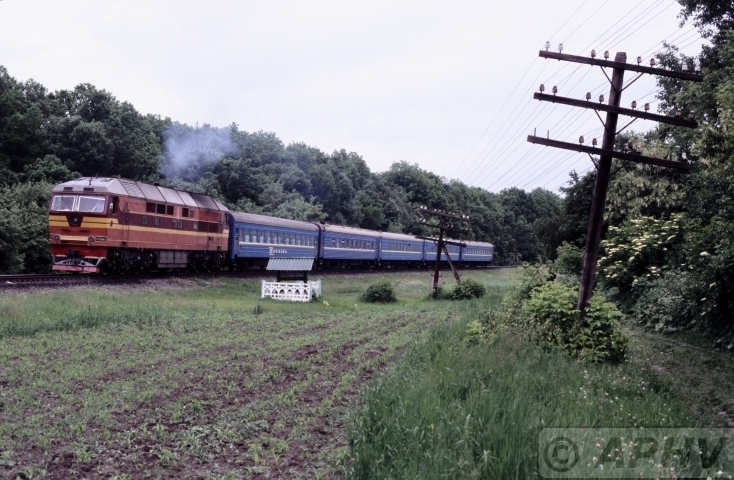 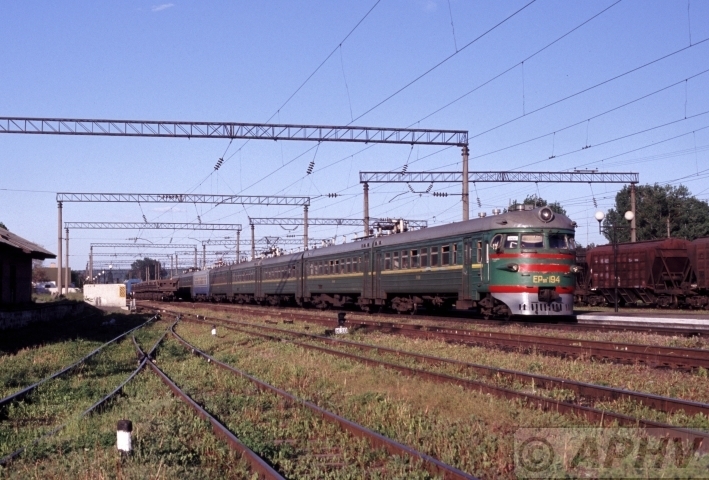 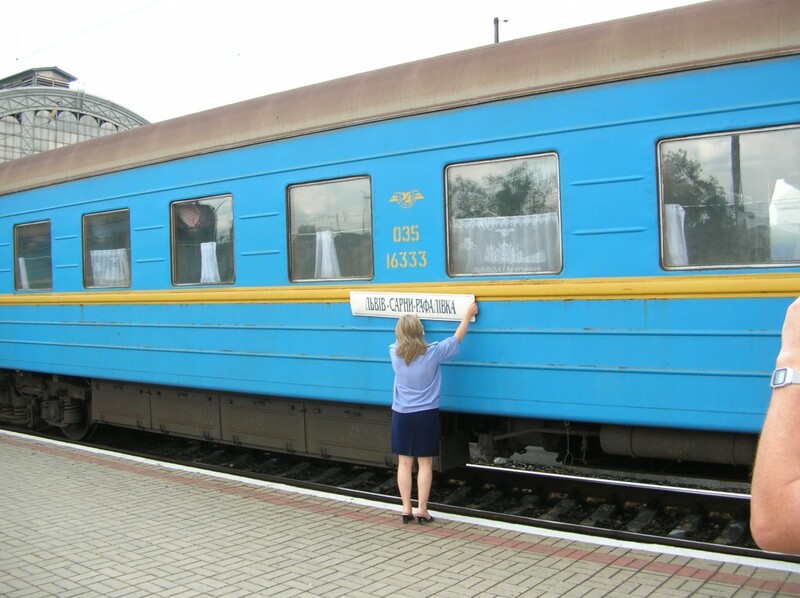 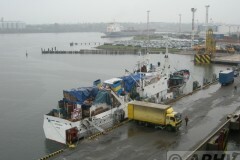 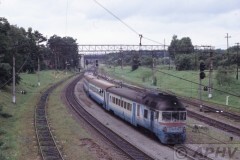 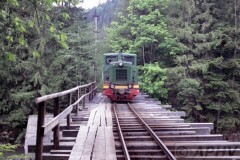 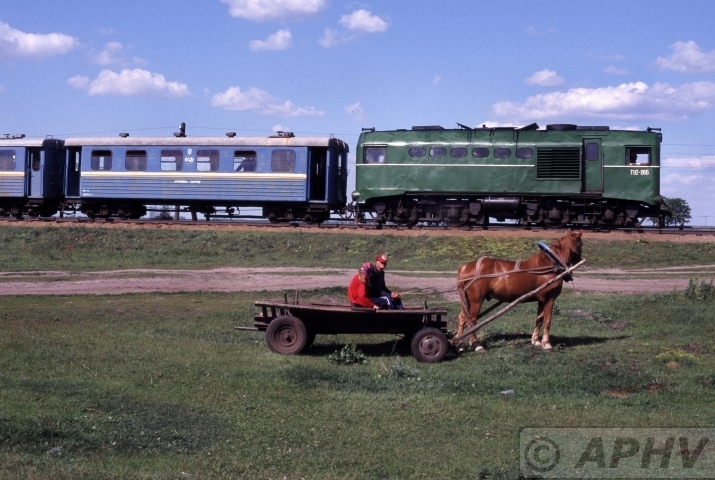 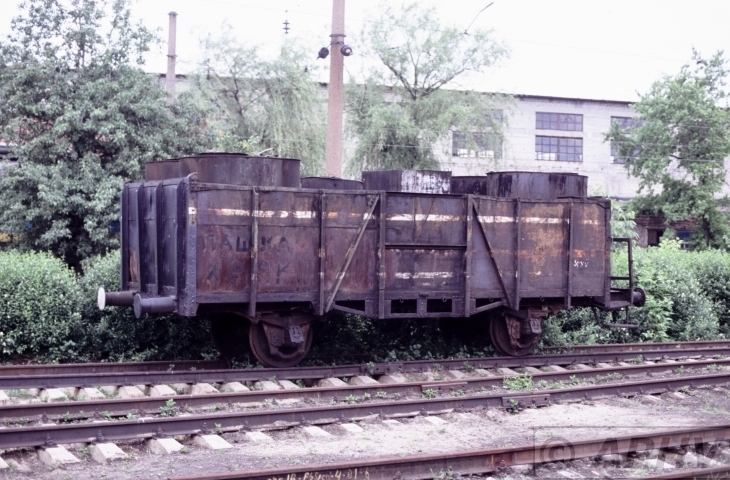 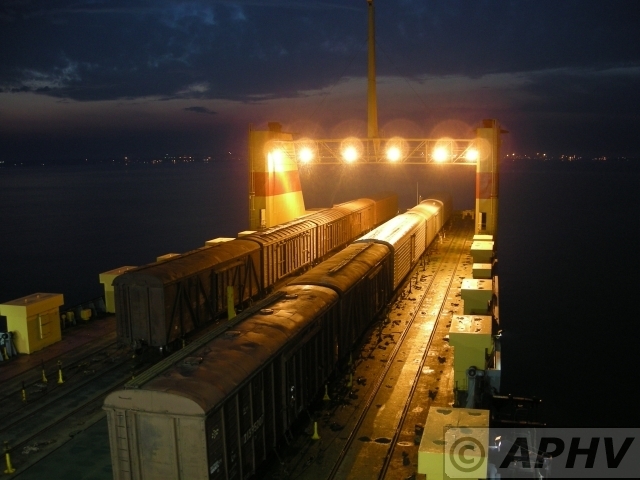 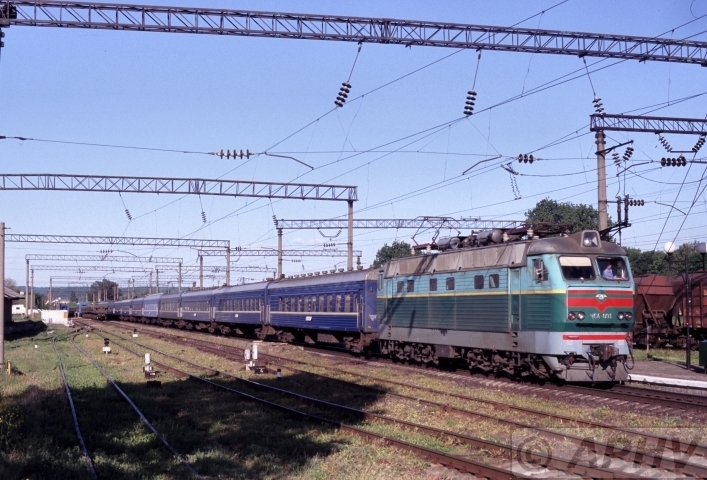 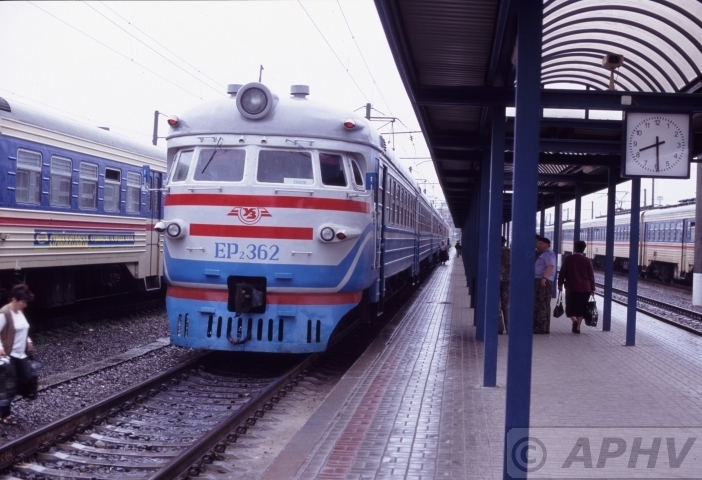 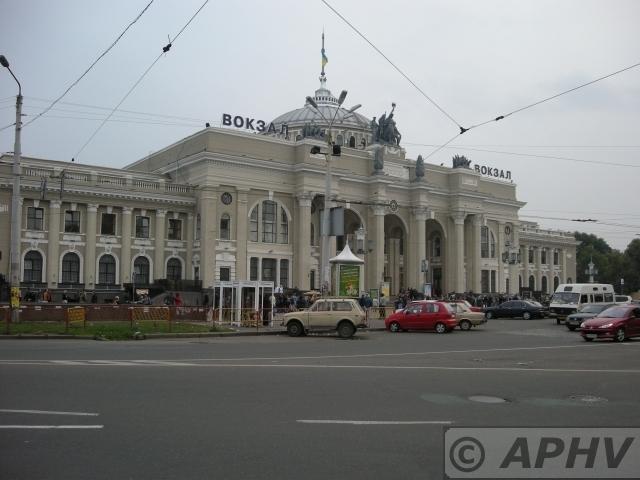 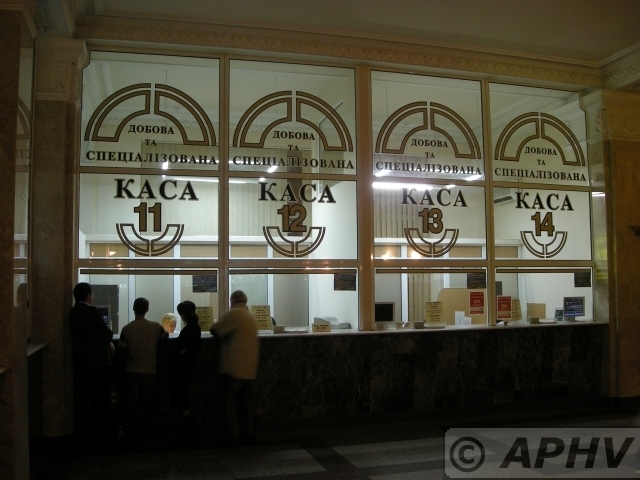 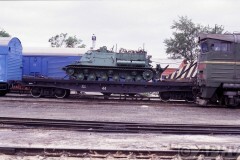 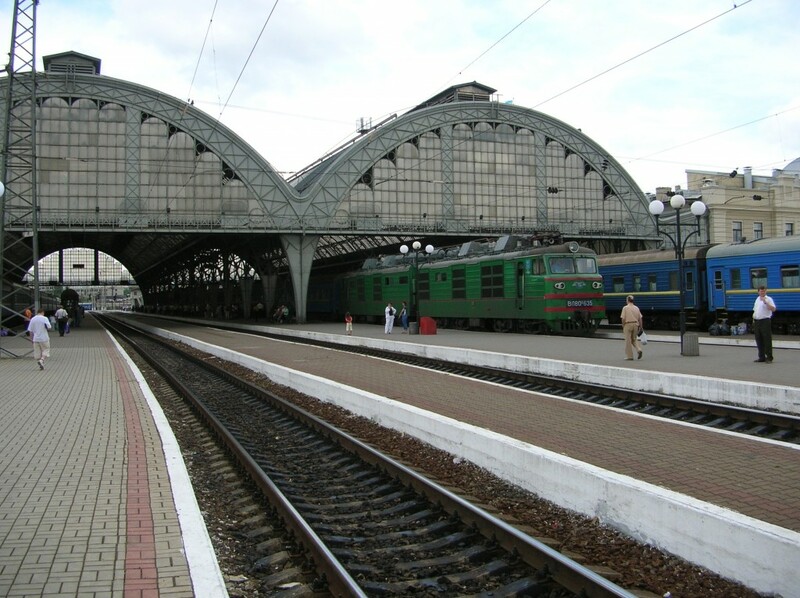 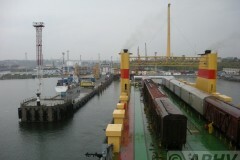 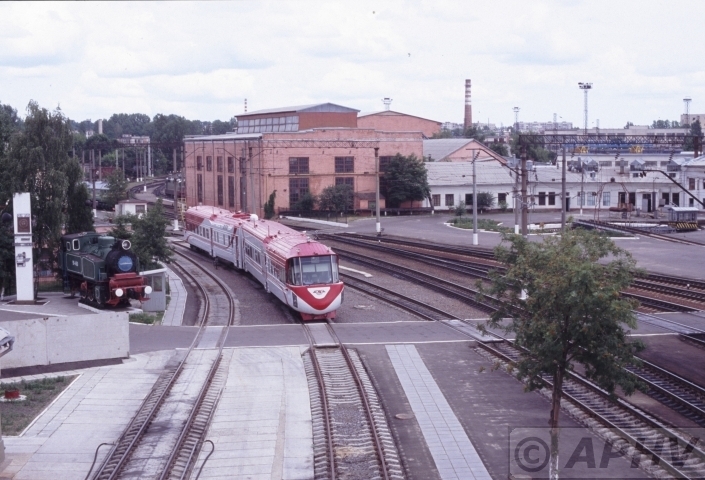 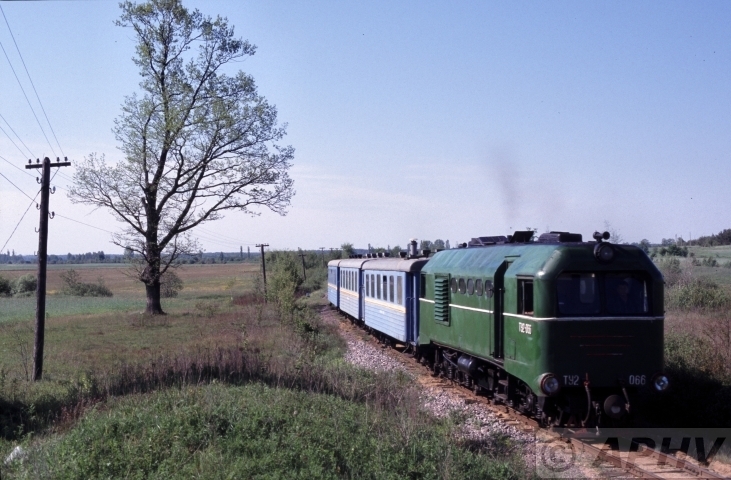 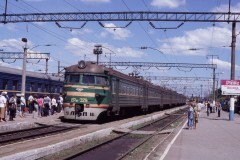 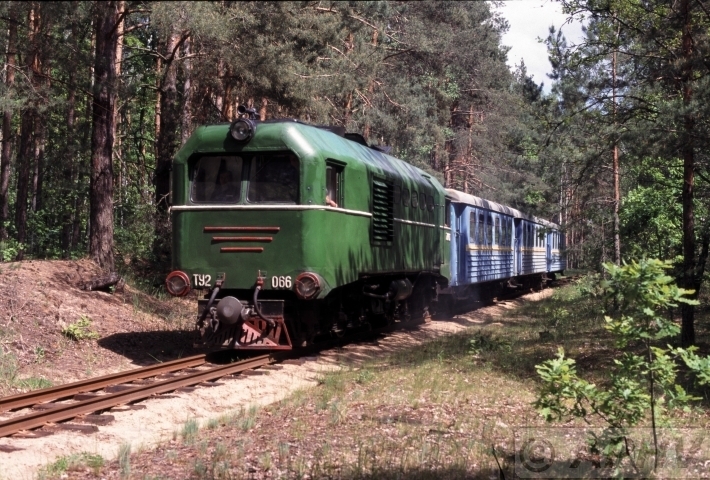 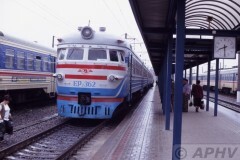 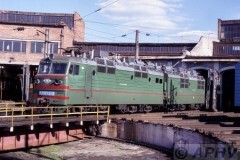 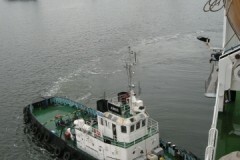 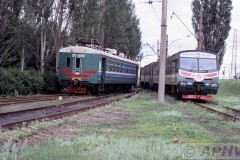 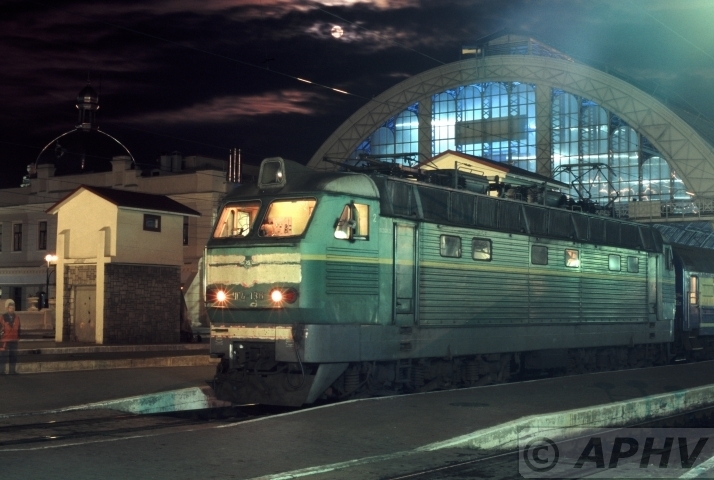 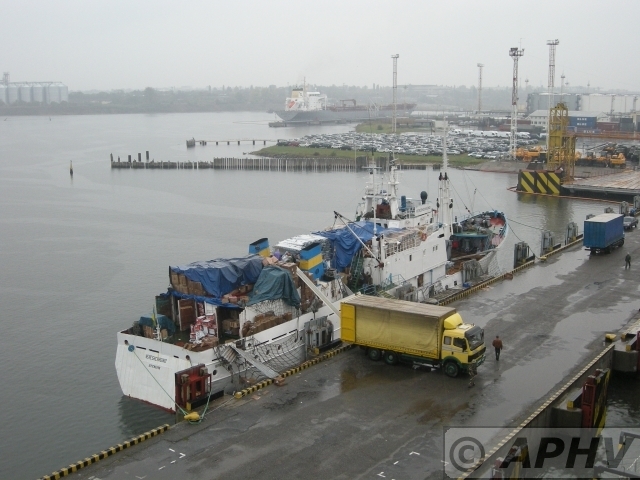 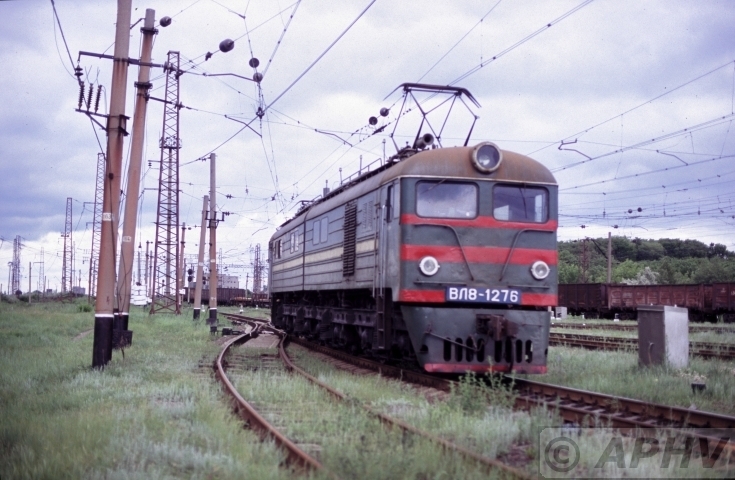 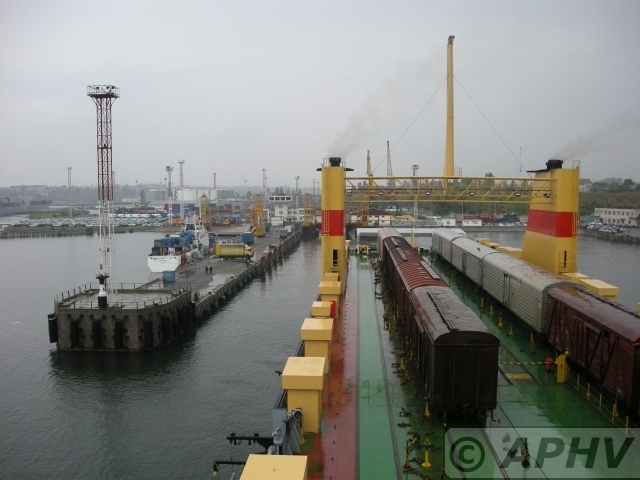 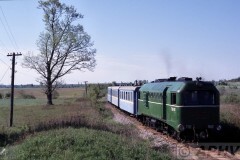 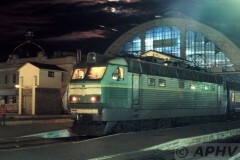 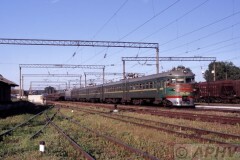 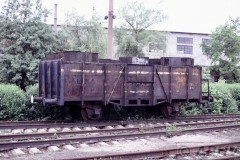 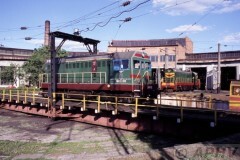 Osnowa locdepot at Kharkov Ukraine on 7 June 2004. 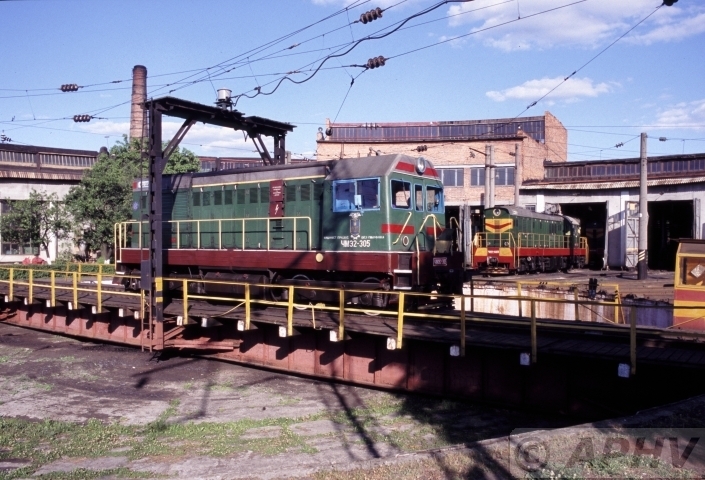 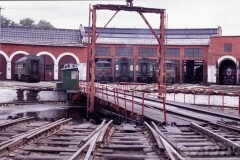 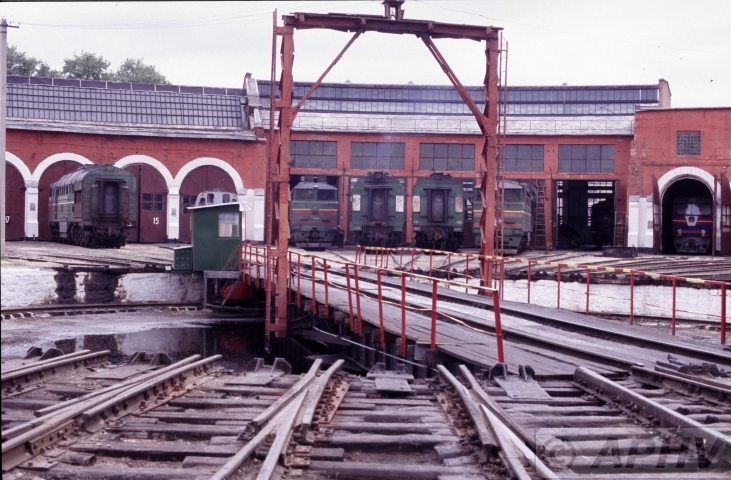 Turntable 2 and roundhouse. 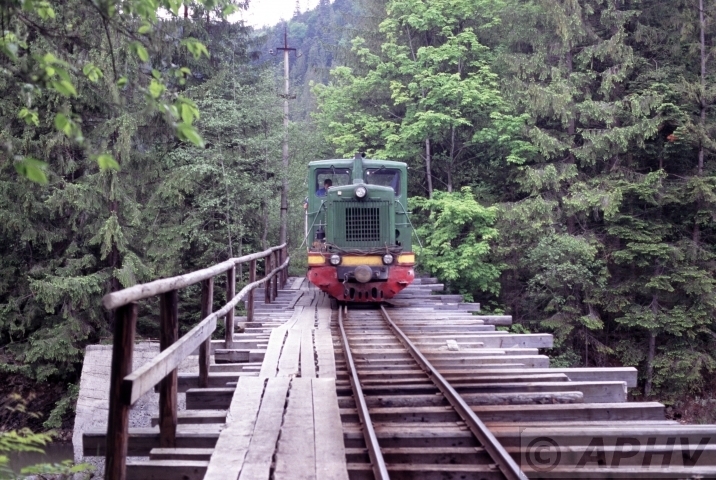 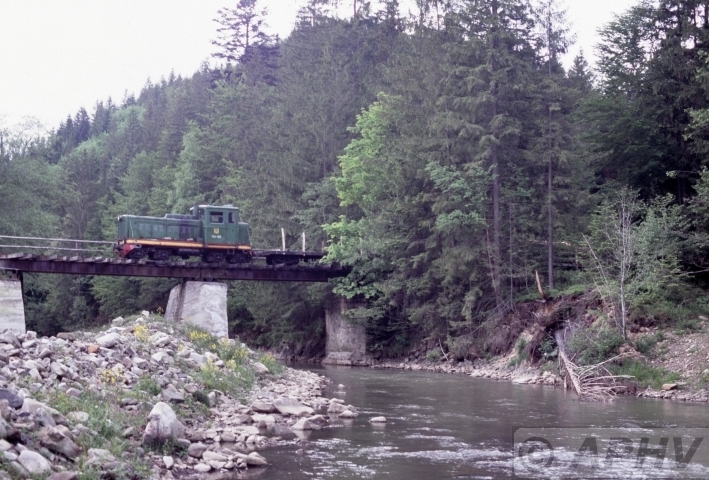 31 May 2004 km 70,2 ng Antonovka line. 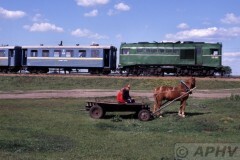 Train, horscart farmer and daughter.